Uranus is the first planet beyond the regular limit of visibility to the unaided human eye on Earth, only visible in opposition with the Sun and only discovered through the human ingenuity of the telescope. Its rotational axis is so extreme that it doesn’t just orbit around the Sun like the other planets, it rolls! Accordingly, Uranus represents the transcendence of ordinary limits, signifying liberation, freedom, individualism, revolution, progress and disruptive technology. The condition of Uranus at the time of our birth shows what role we may play in our 7-year generation’s revolution in the topics of its sign and house placement. Uranus in Aquarius is in a fixed air sign which revolutionizes, radicalizes and disrupts the significations of its ruler, Saturn. This sign is associated with cold rationality, detachment, abstraction, stoicism. People from this 7-year span of time may stand out as utilitarian, defiant and skeptical as a group, and individuals with aspects from Uranus to more personal planets and points may stand out as their revolutionary non-conformists, abstract theorists and antiheroes. People also take on characteristics of the time they come from. 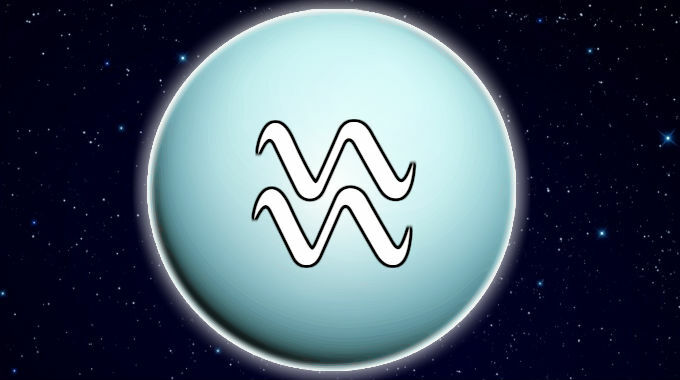 Accordingly, the 1996-2003 Uranus in Aquarius period saw the dot-com boom, the explosion of the Internet across homes and businesses and when world governments agreed to share the construction, operation and administration of the International Space Station. These reflect Uranian technological revolutions of the Aquarian notions of decentralized networks and leaderless arrangements. This was also when the Human Genome Project was in full swing, and Dolly the Sheep became the first cloned mammal, reflections of the Uranian technological revolution applied to the Aquarian human image and reinvention of natural processes. This generation will likely make the internet leap forward, pioneering the revolutionary expansion and utility of decentralized “trustless” half democratic/half laissez-faire blockchain networks over the Jupiter-Saturn conjunction in 2020, and the 2023-2044 Pluto in Aquarius period. This is especially true if you were born with Aquarius rising. Whether you experience the better or worse significations of this position depends on whether you were born during the day or at night, and the kind of aspects it makes with the other planets.